Let’s Make This World Bipolar Day Event Count! 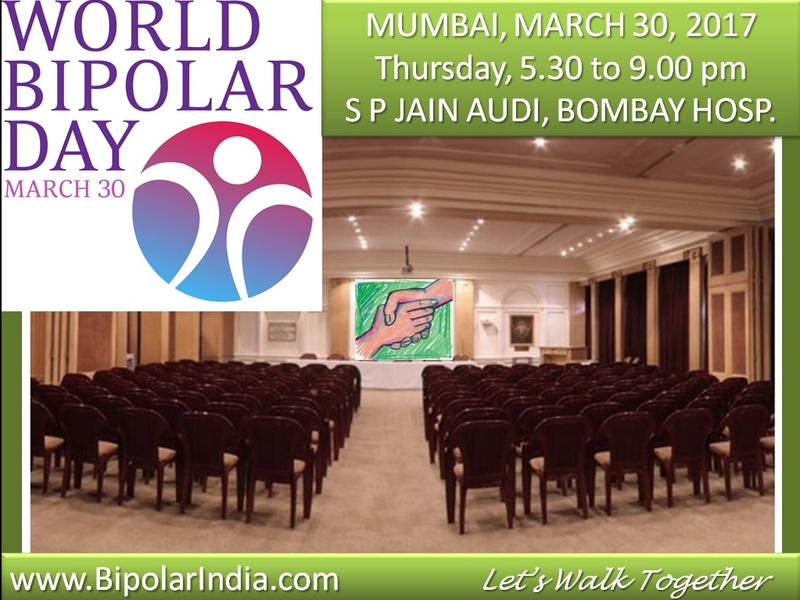 Last year on 30th March, the questions and emotions of the vast Bipolar Disorder Community in India got a voice when we conducted the First ever Public Event in India to mark World Bipolar Day. That memorable day set the tone for a movement for this cause like no other. Time to look ahead now.. In the intervening months, many things have changed, we have gathered unstoppable momentum! Importantly, our Offline Peer Support Group has taken unshakable roots with its regular monthly meets~ the foundation of this community’s tribal spirit!! In fact, the intricate planning and preparation for the coming big ticket event is a collaborative effort of our Group (unlike last year when it was pretty much a one man show). So what can you look forward to come THURSDAY, the 30th of March? 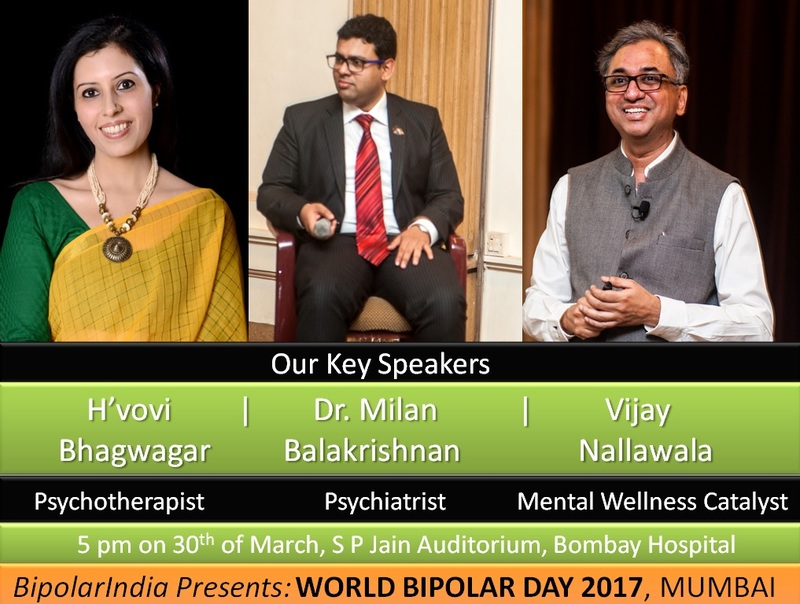 There will be the initiating of the audience about Bipolar Disorder the dreaded illness, its repercussions and the significance of this day. A short presentation that will aim to spread awareness and through it, heightened citizens’ vigilance. 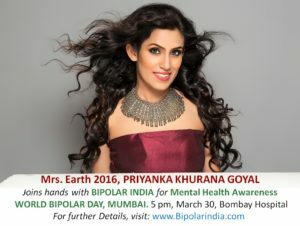 Mrs. Earth 2016 Priyanka Khurana has graciously agreed to be the Guest of Honour at our Event! This IIM-Calcutta Grad is not only a winner at multiple Beauty Pageants, but also Executive Director at Nomura Securities, a MNC. She is actively involved in supporting multiple social causes, among them, support to Cancer patients. Nothing moves the audience more than heartfelt experience sharing. When stories buried deep inside the recesses of a person’s psyche come pouring out without inhibition, without fear of stigma. We have exactly such a person manning this role this time around too~ a firebrand who has been a one man revolution for the cause of Mental Health Awareness and has made it his life’s mission! Meet Akhileshwar Sahay, a man of many accomplishments yet one who wears his challenges and victories lightly. Listen to his rousing story, be dazzled by the depth of his knowledge about the macro scenario! How about a little bit of Drama? You might ask me, isn’t there enough of drama in a BD affected’s life? Precisely. Dramatic storytelling by a gifted person will bring out the behind the scenes images to life…with emotions and narrative flowing deftly interwoven. namely~ H’vovi Bhagwagar and Dr Milan Balakrishnan as the Key Speakers. They will also head an informal Panel Discussion. Last year, the open Q & A session turned out to be an eyeopener, such was the interest of the sizable audience in the subject. 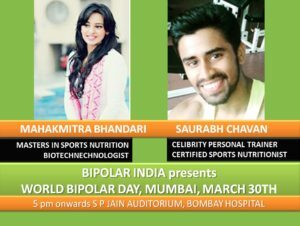 Come prepared with any doubts you want to have cleared by these stalwarts.Also joining the Panel discussion will be two wellness experts from the fields of Nutrition and Fitness, Mahakmitra Bhandari and Saurabh Chavan. I feel the Panel Discussion and Q&A bring up important issues to the fore and provide valuable insights to the audience. 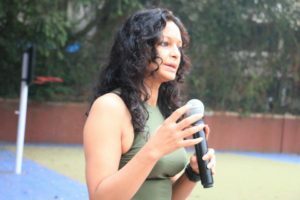 Also sharing a Holistic Healing Perspective is Shammi Gupta. who will throw light on the need for a unified mind-body-spirit approach to healing. If you are in early, you might get a glimpse of a few relevant Yoga asanas as well! At the outset, I had said that we had gathered a lot of steam over a year. 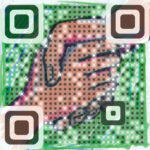 Let’s prove it by unveiling an initiative unlike any other in India. We have done our bit to spread the word. Its a matter of pride that conversations have been generated from nowhere and stories have been boldly shared. Our site also goes one step further to offer Medical support by the way of offering counseling/advice over the internet (phone or skype) by Qualified and experienced Professionals. Attend the Event to see the disruptive initiative being announced. Fifteen Million BD afflicted and 30 Million Depression afflicted are staggering numbers!! All the more reason for us to sit up. Take cognizance of the silent suffering around us. See if we can be of help in even a small way..
And reach out to comfort a lonely soul somewhere. I won’t thank my Peer Support members because now they are inseparable from me. 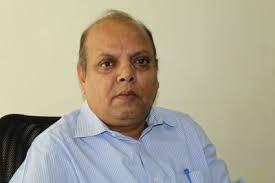 I must express gratitude to H’vovi Bhagwagar for always being by our side, whenever called for. As for Dr Milan Balakrishnan, you made it all possible by arranging the magnificent venue free of cost! Much gratitude from all of us. Let’s Make The World Bipolar Day Event Count! See you at 5.00 pm on the 30th of March, 2017.